Frnds i m gng to buy this phone......is it good smartphone???? My curve 9380 problem. I do sent it to blackberry centre twice but the problem not even solve. When I push "back" button, it will go back like 2 or 3 page even I just push it only one time. 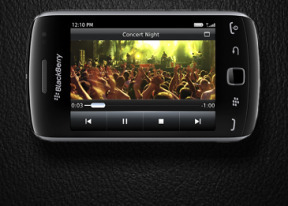 blackberry curve9380 not video supported.so i dont like.not media player. mphile mhlongo , 09 Sep 2012The problem with my phone is just delet all my pictures my video and music don't know what hap... moreYour computer might contain virus. How is the battery backup of curve 9380?I want to buy this phone tomorrow...so I need suggestions...how much time the battery stay after full charge???? and what's the recent price of this ? i have one , very -very best . Gr8 phne,hz evrythn a top phne mus hv..bt da battery is da problem..IT HARDLY LASTS!! !